Are HDB's policies discriminatory towards S'poreans? PRs seem to have it better than locals. Leong Sze Hian. HDB housing policies – tilting the advantage towards PRs? The following is Part One of a special three-part focus on the Housing and Development Board’s public housing policies. Parts Two and Three will be published on Tuesday and Wednesday respectively. I attended the HDB’s Resale Seminar which was attended by over one hundred persons. Judging from the 75 minutes Q & A, during the 3 hour 45 minute seminar, and mingling with the crowd during the break, I estimate that about 80 per cent of the attendees were permanent residents (PRs). Many questions centred on when PRs could sell or rent out their flats, and when they can repatriate profits from the sale of their HDB flats, when they leave Singapore. To what extent has HDB policies led to undesirable outcomes for Singaporeans, relative to PRs? A PR can sell his or her resale HDB flat after just 1 year’s MOP. A Singaporean who buys a resale flat with a bank loan, can also sell after just 1 year. However, many Singaporeans buy new flats, or resale flats with a CPF Housing Grant, which have a MOP of 5 years. For resale flats with a HDB loan, the MOP is 2.5 years. The increasing “headache” for some Singaporeans may be that they cannot afford the Cash-Over-Valuation (COV) on a resale flat. Since foreigners do not need to contribute to CPF, they generally may have more cash to pay for the COV, when they become PRs. As to new flats, since a typical Build-To-Order (BTO) is about 3 years, plus another 5 years MOP, it may be about 8 years before a Singaporean can sell his or her flat. What if you can’t service your mortgage before your MOP? What if you need to be divorced without children before your MOP? Let me use an analogy. You want to invest in a property and also need a house to stay.A property developer offers you a private property at a discount of 20 per cent, using its unique “market subsidy pricing” policy, but it will take 3 years to build, and you cannot sell it for the next 5 years. Another developer offers you a similar property that you can stay in immediately (and save on your rental for 3 years), and allows you to sell anytime. Which property would you buy? I think the developer with the “subsidy” may hardly get any customers at all. But, many Singaporeans are fixated with the notion that a new flat is sold with a “discount”. Imagine you had applied for a new BTO flat in 1990 and saw your flat appreciate greatly in value until the last peak in 1996, and then declined in price by as much as 40% for the next 13 years. Your headache may be that you couldn’t sell when the price was high, because of the MOP. Will PRs ever have this “headache”? No, because they can’t buy new flats. A blessing in disguise perhaps – no need to wait, can buy immediately and sell after just 1 year. 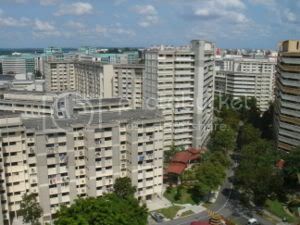 When a Singaporean buys a second new flat, the resale levy has to be paid, based on the first flat type sold earlier. For those who may be financially stretched, who can’t afford to pay the Resale Levy, they will have to purchase a resale flat instead. In fact, when they become citizens, they can buy their second flat, which is considered as their first subsidised flat, with a 1st-timer grant as well. When a Singaporean buys a second flat, he can only get a second HDB loan if the flat purchased is a bigger one. This may entice him to buy a bigger flat than he can afford. PRs don’t have this “headache”. When they become citizens, they can buy their second flat of any size and get a HDB loan. Since bank loans are typically lower than the HDB loan’s 2.6 per cent interest for the first 3 years of the housing loan, a PR who becomes a citizen within say 3 years, may actually pay a lower interest than HDB’s in the first 3 years, and then convert to a HDB loan when they become citizens, say before the 4th year. Singaporeans are subject to the $2,000 and $3,000 Income Ceiling for the purchase of new 2-room and 3-room flats. This may in a sense “force” Singaporeans to buy a bigger flat than they can afford. For example, if your household income is $3,001, you must buy a 4-room or bigger flat, as you have exceeded the 3-room Income Ceiling. Why is it that the Income Ceiling is $8,000, instead of $3,000, for 3-room flats in mature estates like the recent Queenstown (Dawson) where the prices of flats are very high? Since the lower the household income, the higher is the Additional CPF Housing grant, Singaporeans may be tempted to buy a flat before they can really afford it. For example, a household with monthly income not exceeding $1,500 gets the highest grant. But, how many households earning less than $1,500 can really afford to buy, and run the risk of default over the next 30 years? So, to buy earlier so as not to cross the Income Ceiling and get a higher grant may be a “headache”, if you can’t pay in the future. Buy later when you can afford, but risk crossing the Income Ceiling, and be “forced” to buy a bigger flat, also a “headache”. PRs don’t have this “headache”. They just buy any size resale flat that they can afford. Even if a PR earns $1 million, he can buy a 2-room resale flat as there is no Income Ceiling for resale. Some Singaporeans also perceive that it is better to get a CPF Housing Grant. But you may have noticed in recent years that every time the grant is increased, the prices of new flats increase by even more. So, is an increase in a grant that is less than the increase in the price, really a benefit? PRs may generally have smaller families as they may not have their parents in Singapore, or not have children yet. Some foreigners may also be accustomed to sharing a flat before they become PRs. So, they may be able to pay higher prices for resale HDB flats, because they plan to rent out the rooms for income. Singaporeans, on the other hand, generally buy flats to stay without the intention to rent out rooms immediately, as they may generally have larger families of parents and children. I think most Singaporeans see a HDB flat as their home for life, and not as a temporary investment, providing income as well as saving on housing costs whilst in Singapore. How can our housing policy allow PRs who own private property to buy a HDB resale flat and rent out the rooms immediately, as long as they stay in their HDB flat as well? Are these some of the possible contributing factors to why HDB resale prices are skyrocketing? In this connection, HDB resale prices rose about 8 per cent last year, compared to only about 2 per cent for private property. Why is it that two PR siblings of any age can buy a resale flat, whereas two Singaporean siblings must be either orphans or age 35 and above before they can do so? HDB policies could be reviewed, with a focus on the undesirable outcomes for Singaporeans, and at the same time vis-a-vis PRs. Policies should not be maintained for reasons of solving a problem – like PRs need housing too, IR foreign workers need housing too, etc. Policies should also not be maintained for reasons of avoiding a problem – such as if new flats are priced lower on a cost-plus basis, the property market will crash and HDB resale prices will not grow. This reasoning is in my view fundamentally flawed, as even if new flats’ prices are gradually reduced on a cost-plus basis, it will be about 8 years (3 years BTO plus 5 years MOP) before they can be sold in the open market. So, it may not cause resale prices to drop. Instead, it may help to moderate the current skyrocketing prices which may be an increasingly unsustainable asset bubble.